I love this toner and finished it in 3 months! Definitely will repurchase this. The consistency is watery so it absorbs into my skin fast and leaves it feeling hydrated and not sticky at all! Even though it has chemical exfoliants in it did not irritate my skin at all! Plus, this toner is really affordable, especially for its quality! This is my first exfoliating toner, and I really love it. It's a gentle exfoliator, it contains BHA 0,5% so I think it's safe for people that still trying to adapt with chemical exfoliator. It also has aloe vera and other ingredients that supposed to give hydration. That's why it works really good even on my dry skin because it's not only exfoliating but also hydrate my skin. I fell in love with this toner from the first time I use it. It is lightweight and easily absorbed by the skin, no tackiness, and non drying. I love how it moisturizes & hydrates my skin, soothes redness, and there is no breakouts too! I usually layer 3-4 pumps on my face. My skin improves after few weeks of using this. Only con is the pump. 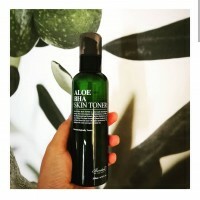 This product is a really good toner for summer time. I have combo skin (drier in winter and more oily in summer) and it does a good job of balancing my skin when it’s hot and gross outside and also mildly exfoliates to keep my skin fresh. 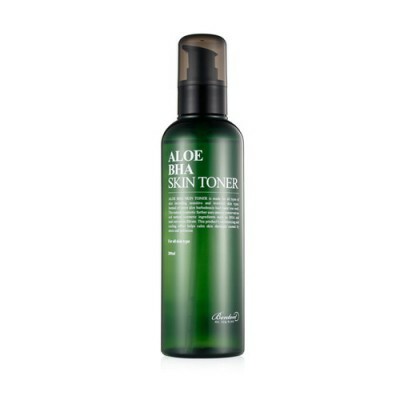 Because my skin can be a little bit sensitive, the aloe helps nourish and keep my skin barrier intact.